that Japan's largest and most powerful advertising and media agency had overcharged cornerstone client Toyota over digital media sales for at least five years. The dispute is not just isolated to Toyota, there could be up to 160 possible incidents of overcharging affecting several clients, AdNews understands. AdNews has been told that Dentsu had reached out to 100 of its key clients to try and curtail the damage before it plays out in the media. A source, who wished to remain anonymous, told AdNews the dispute escalated when Toyota initially questioned billings from Dentsu's digital business DA Services and Links. In response, the source claims, Dentsu employees “antagonised” its key client, prompting a broader sweep across traditional media billings. 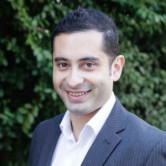 This uncovered more incidents of overcharging and led to other clients questioning billing practices, AdNews understands. “I think that this is the early stages of what will be a steady wave of leaking information from disgruntled employees which exposes examples non-transparent practice in agencies,” says Tom Denford, chief strategy officer for global marketing consulting business ID Comms. Denford, who is also chairman of the professional development committee at the International Advertising Association, says the complexities of pricing and charging by agencies are partly to blame for billing issues, whether intentional or not. Darren Woolley, the CEO of marketing management consultants Trinity P3, was in Singapore when the Dentsu Toyota news broke and tells AdNews it was a real shock to a region that previously thought issues of transparency and questionable billing practices were limited to Western markets. “There's more that is going to come out,” he says. “This is not just Toyota and from what I've been told it affects a lot of the Dentsu clients. It seems to be an institutionalised practice that has come to the light and I think a lot of other Dentsu brands are going to be affected by it. Greg Paull, the principal and co-founder of global marketing consultancy R3, describes Dentsu's admission as “extraordinary” - a first in Dentsu's 115-year history. "Japan is probably the most opaque media market in the world, with Dentsu not only buying the media, but also owning the and making the media,” Paull adds. As part of its investigation, AdNews sought to gain further insights into how Japanese business culture and the unique power structure of agencies contributed to the overbilling saga. Woolley points out that Japan is a unique market because of the “ownership and vertical integration” the big agencies have over there. This includes owning the media, production companies, ad agencies – an end-to-end solution largely built on trust and relationships. 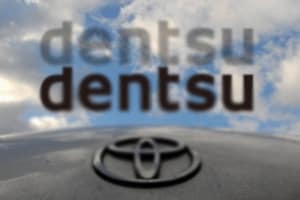 Dentsu's relationship with Toyota began post-World War II, as did many of the relationships it has with key blue chip clients. The agency played an important role in helping these companies rebuild and may feel they owe a debt of gratitude that stems beyond a normal client agency relationship. The cosiness between client and agency is not just a Japanese trait; there are similar examples across Asia. In Korea, for example, Samsung owns the largest agency Cheil Worldwide. “It does require a higher level of governance to make sure all parties are acting in the best interest of the clients,” Woolley says. “In Japan there's examples where people never competitively tender on price, for instance, because it would be a huge loss of face to reject someone because they were the cheapest." Woolley's concern, not just for Dentsu but for the whole region, is the scandal could lead to knee-jerk reactions, “with every marketer rushing out to do a pitch, which is the totally wrong thing to do”. Woolley says what should happen is that clients and agencies should be more transparent around processes and the governance of them to ensure this doesn't happen again. This week, Spikes Asia 2016 is taking place and it will be interesting to see if sessions tackling transparency are now given extra prominence in a region shocked by the revelations of its largest agency. Japan has one of the most opaque media industries in the world. Dentsu's overcharging scandal is a “major wake up call” for one of the world's most opaque advertising industries and could lead to a “wave of disgruntled employees” exposing non-transparent practices at agencies across the world. That's the view of regional marketing consultants and industry leaders in the wake of Japan's largest advertising agency scandal. There are also warnings that “more clients are affected” and the practice could be “institutionalised” at Dentsu Japan. Yesterday, AdNews revealed that Japan's largest and most powerful advertising and media agency had overcharged cornerstone client Toyota over digital media sales for at least five years.